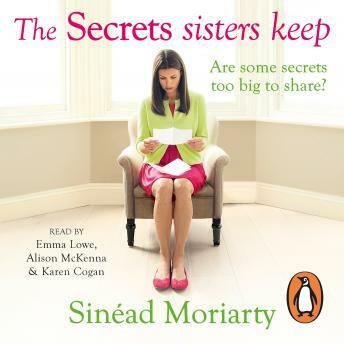 Penguin presents the unabridged, downloadable, audiobook edition of The Secret Sisters Keep, read by Karen Cogan, Emma Lowe and Alison McKenna. The Devlin sisters rely on each other - but some things are just too painful to share, even when your sisters are your best friends . . .
Mum-of-four Julie thought that if her family had more money, life would be easier. But now that they've inherited a fortune, her problems are only starting. Lawyer Louise is used to having life go exactly as she wants it to. So accepting that she cannot control the most important thing in her life is beyond her. And former model Sophie can just about cope with getting older - that's until her ex-husband finds a younger model. All three women think that some battles are best fought alone. Maybe they need to think again . . .